Agile has been gaining relevance in the software as well as non-software industry. Recent surveys of development and IT professionals show that agile is now the norm. Since teams work in highly uncertain and unpredictable environments, the values brought in by the Agile mindset help them respond to changing customer requirements and still deliver with the highest quality. In response to the growing relevance of Agile methodology, the Project Management Institute (PMI®) has begun offering the PMI-ACP® certification exam. The PMI-ACP®certification helps by setting a standard for excellence in agile project management. By holding this most credible Agile Certified Practitioner certificate, a practitioner verifies their agile expertise to companies looking to adopt the Agile methodology. Within a few years of its inception, PMI-ACP® has indeed become one of the most respected and sought after agile certifications. 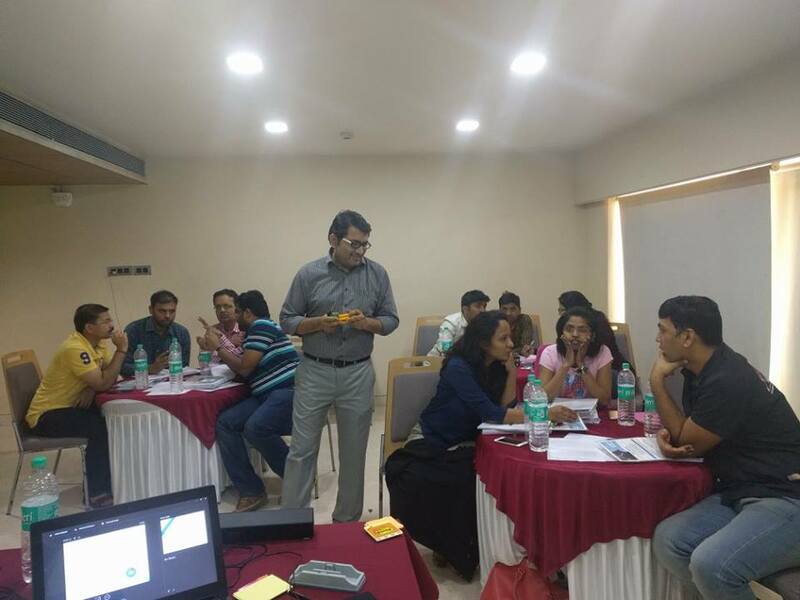 ScaleUp offers a PMI-ACP® Certification study facilitation workshop in various cities in India. This course gives candidates 21 contact hours (PDUs – Professional Development Units) necessary to be eligible for the certification exam. Learn Scrum, Kanban, XP, etc. Once you are a certified PMI-ACP®, it means that you are in a different league of agile practitioners. You want to advance your career in whatever agile role you are currently performing. * Note: If you currently hold a PMP® or PgMP® credential, you are NOT required to enter these requirements during the application process. For more details on the PMI-ACP® certification, please refer the PMI-ACP® handbook on the PMI® website.